1.Most machines have a username and password to enter Machine Administrator mode. By default the username and password are identical. They usually consist of the A4 speed of the machine followed by 00. 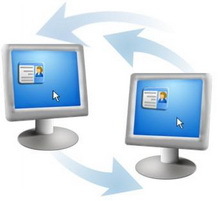 However, there are exceptions where a machine will have the same combination of username and password as the rest of the machines in the same model group. 2.There are two main variations of Kyocera Command Center. If your version has Kyocera Command Center RX at the top of the page then you will have a default username of Admin and default password of Admin. If you do not have the RX version there will either be no password or a default password of admin00.